FCC chairman Tom Wheeler is trying his best to do damage control over the poor reception his proposed net neutrality rules have gotten. It's so bad that on Wednesday at the Cable Show in Los Angeles, Wheeler will try once again to negate the bad headlines and accusations that he's out to kill the Internet as we know it. To make sure the press gets Wheeler's message loud and clear, the FCC press office provided some advance quotes from Wheeler's planned remarks in which he will stress that any open Internet rules the FCC adopts will be tough and enforceable and won't lead to the creation of fast lanes for deep-pocketed content providers. "There has been a great deal of talk about how our following the court's instructions to use a 'commercially reasonable test' could result in a so-called 'fast lane' and Internet 'haves' and 'have-nots,'" Wheeler plans to say. "This misses the point that any new rule will ensure an open pathway that is sufficiently robust to enable consumers to access the content, services and applications they demand and ensure innovators and edge providers are able to offer new products and services." Whether Wheeler's speech or his latest 1,500-word blog post will change any minds remains to be seen. Even though no one except Wheeler and the commissioners have seen the precise language of the proposal, it seems to have taken on a life of its own. No matter what the FCC press office has issued, no matter what statements Wheeler has made, the chairman has been unable to shake the impression that because the FCC can't prohibit discrimination, its proposal to allow commercially reasonable traffic management will open the floodgates for a pay-for-play Internet. Wheeler will tell the cable audience that he's also not closing the door on taking the more extreme route of classifying and regulating the Internet like a utility, known in legal parlance as Title II. "Let me be clear. If someone acts to divide the Internet between 'haves' and 'have nots,' we will use every power at our disposal to stop it. I consider that to include Title II. Just because it is my strong belief that following the court’s roadmap will produce similar protections more quickly does not mean I will hesitate to use Title II if warranted," Wheeler is expected to say. 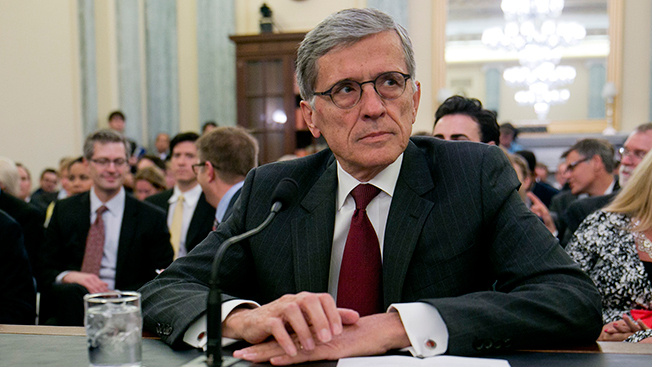 Embracing Title II won't win Wheeler any friends in the cable business. On Tuesday, Michael Powell, president and CEO of the NCTA—and a former FCC chairman—spent most of his speech advocating a light regulatory touch for the Internet. "Because the Internet is not regulated as a public utility, it grows and thrives, watered by private capital and a light regulatory touch. It does not depend on the political process for its growth, or the extended droughts of public funding. This is why broadband is the fastest deploying technology in world history, reaching nearly every citizen in our expansive country," Powell said. The FCC will vote on a notice for proposed rulemaking for new net neutrality rules on May 15.